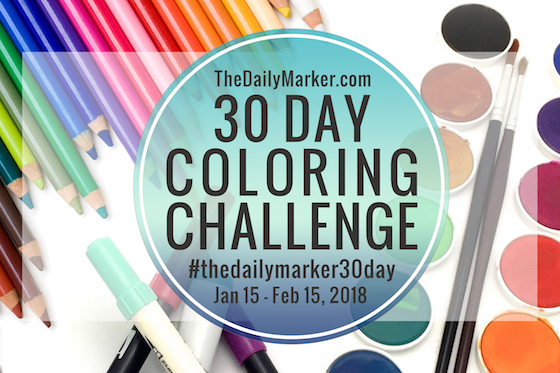 A tweet Valentine card for the 30 Day Coloring Challenge! A Distress Oxide background with Worn Lipstick and Candied Apple and sweet images from LawnFawn Love Notes. I am also submitting this one to Lawn Fanactics Challenge #22 - Inky Fingers! 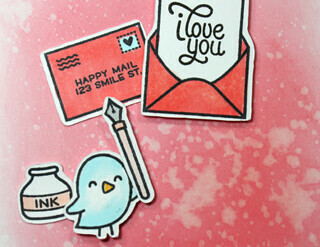 ...and to Simon Says Stamp Wednesday Challenge It Must Be Love! This is ADORABLE! LOVING that background!!!!!!!! This is so sweet Tracey and what an amazing background! Awww...super cute! Wonderful water colored background! Adorable card Tracey! Love the artistic flair to the background and the sweet little bird! Its darling. I have this set and never know where to go with it. Thanks for the inspiration. tracey, this is super sweet!!! Thank you for playing along with us at Simon Says Stamp Wednesday Challenge hope to see you in the next one ;) NAD for entering the Lawn Fawnatics challenge!! 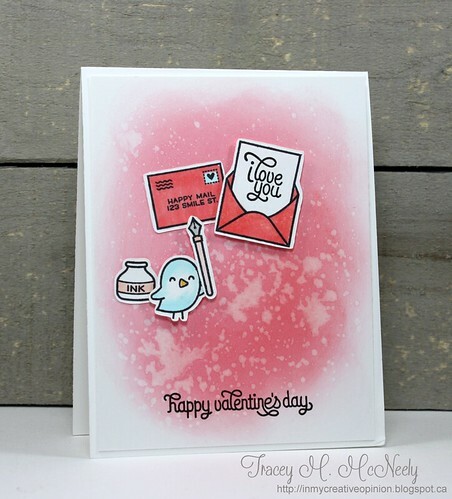 Your card is absolutely adorable, Tracey! I love the gorgeous inky background! 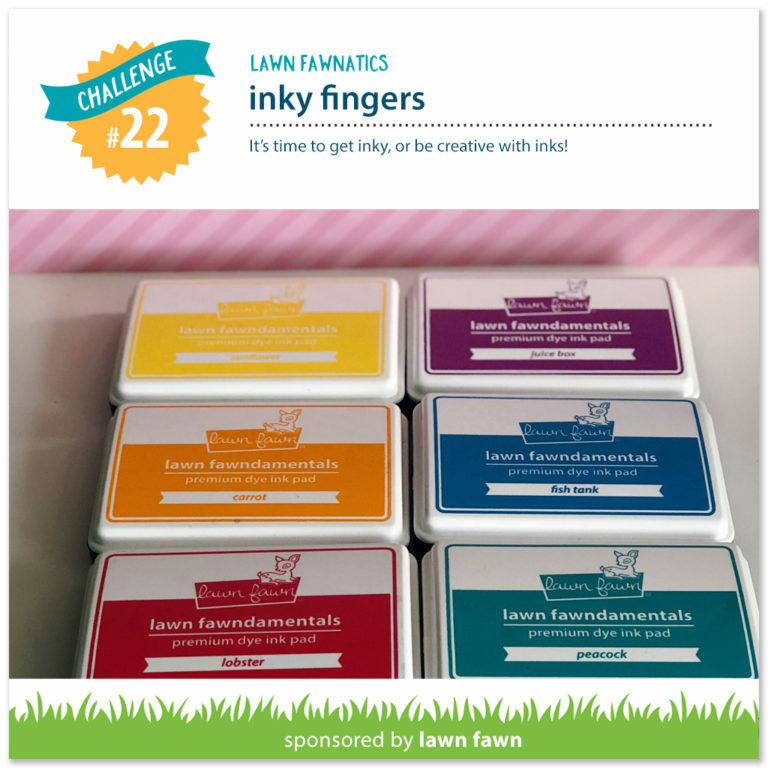 I'm so happy you joined the Inky Fingers challenge at Lawn Fawnatics!